Visit Eckel’s ALL NEW website www.audiologyrooms.com developed for Audiologists and the Audiology Market. Eckel Audiometric Rooms integrate superb acoustics and ergonomics to create an ideal testing environment for a range of clinical and research procedures. Our broad selection of audiology rooms and suites offer clinicians and researchers an array of choices, all custom configurable, for which to select the ideal acoustic environment for their specific needs. Designed and constructed using the same acoustic expertise incorporated into our audiometric rooms Eckel’s recording studios and voiceover rooms significantly reduce external ambient noise to create a quiet and comfortable atmosphere for professional sound engineering and recording. Eckel’s pre-assembled, welded, and optional flat-packed AB Series Booths offer high performance in a small package. The booths are unique to the market given their size, acoustic integrity, durability and utility. They come fully assembled and ready to use upon delivery. 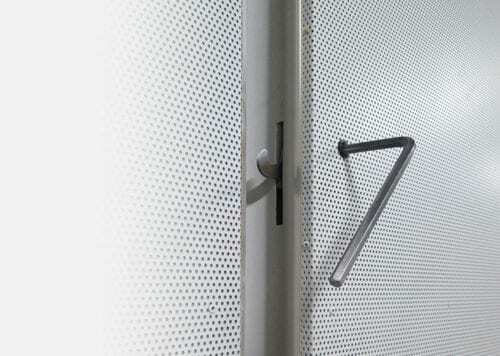 The unitized, all-welded construction and continuous magnetic door seal are innovative and proven designs that contribute to the AB Series’ outstanding acoustic performance. The large entry door allows ease of access and the roomy interior is designed to allow test subjects to move unimpeded in the room. Known for their compact size and practicality, the AB Series booths are small enough to fit through a standard 30 in. doorway. Additionally, the optional cam-lock construction facilitates disassembly for moving, storage or shipping. While the booths are “mini”, the interior space is roomy and comfortable—featuring double acoustic windows and quiet forced-air ventilation. The AB Series booths are available with lighting, carpeting, vibration isolators or heavy-duty castors, and universal jack panel (adaptable to any audiometer). Eckel’s audiometric rooms and studios are modular designs available with a unique cam-lock system to facilitate on-site installation, and if needed, relocation. This unique feature helps ensure the acoustic integrity, durability and utility of each room when it is installed and likewise, if the room needs to be relocated, it also ensures the room can be disassembled, moved and re-assembled without compromising the performance or integrity of the room once it’s been re-commissioned. No other audiometric room or booth on the market features this innovative design.